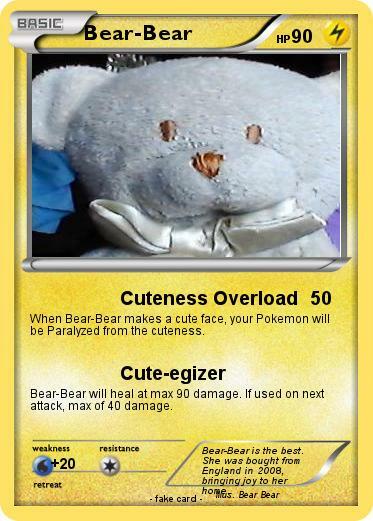 When Bear-Bear makes a cute face, your Pokemon will be Paralyzed from the cuteness. Bear-Bear will heal at max 90 damage. If used on next attack, max of 40 damage. Comments : Bear-Bear is the best. She was bought from England in 2008, bringing joy to her home.